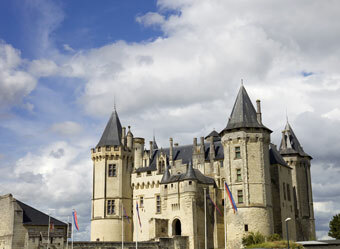 The Loire Valley is renowned as the ‘Garden of France’ to any who go there or read about it. 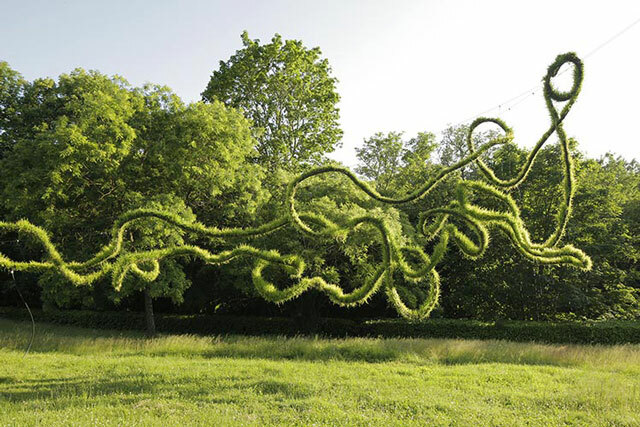 The gardens are often conceptual and outlandish, which culminates into a six-month-long garden festival over the summer. Remember the Château Chaumont-sur-Loire from our blog about the Loire Châteaux? It’s the one that was knocked down in the 15 century then rebuilt. The Disney-esque one with the cone-topped turrets and- sometimes- giant marbles in the garden. Yep, that one. 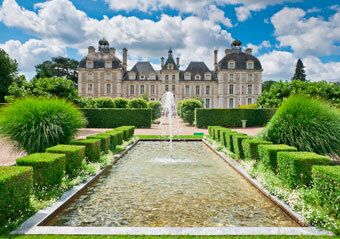 Since 1992, this Loire château has been hosting an annual festival de jardins, homage to garden design across the world. Each garden has a specific theme that’s grand enough to show off what it’s trying to say without too much explanation. This year’s theme was ‘Jardins des Sensations’ (Gardens of the senses), making active pieces of natural art more than just attractive flower arrangements. 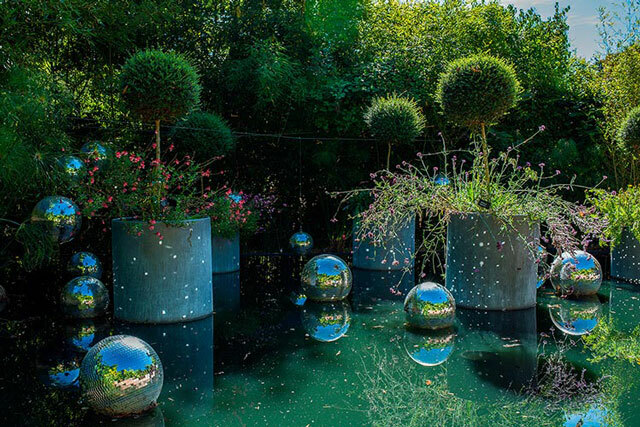 I found Chaumont-sur-Loire garden festival inspiring and adventurous and loved the way it treats gardens as immersive rather than objective art – inviting you to interact and engage in a way that British show gardens often don’t. My favourite garden – and there were many I really liked – was La rivière des sens. It carried you along in a tumbling meandering stream, between dappled light and textured planting; a great concept and beautifully done. These are some of the pictures from the official site of the 2013 and 2012 festivals. Copyright remains with C. Diaz & E. Sander, who’s other work can be found there, too. The link to the official site is at the bottom of this page. 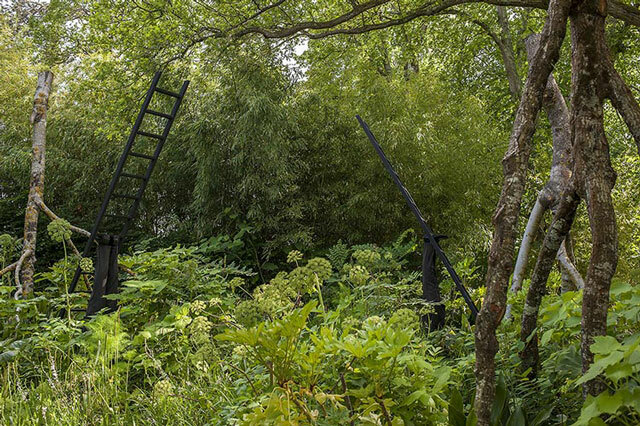 We’ve established that the festival has been around for over twenty years now, but to get an idea of how invested the Loire Valley is in this garden festival, there have now been almost 600 concept gardens made across the lifespan of the event. 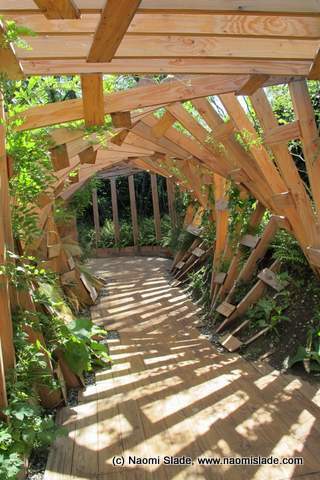 This includes the work of architects as well as gardeners, designers, artists and landscape gardeners. There are obviously a lot more themes across the years, and while they’re diverse- there’s even a theme on ‘Eroticism in the Garden’- there is a definite undercurrent of encouraging ingenuity. Visit the Domaine Chaumont official site to download full programmes for previous festivals, as well as the pictures shown above.